Jazz, much like life, is an art of balance, a forever dance on the scales which keep our sanity and existence in check. Form must always reckon with freedom, scripts and spontaneity are bound by mutual understanding, and intellect blossoms truest as it holds the heart in high regard. Only in a state of relative equilibrium can the music find its real footing, its foundation, a place to grow. 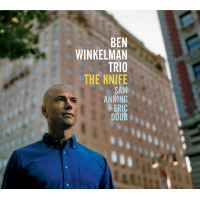 On his fifth album to date, pianist Ben Winkelman addresses this very notion through the even-handed spread of action and reaction. In that respect, both logic and unpredictability hold sway over these songs. Opening on "Bx12 Part One," Winkelman immediately marks himself as a man who's content in his knowledge yet restless in spirit. This tale of mass transit, built around a clave in eleven, captures the rush of movement toward a loved one and the claustrophobic nature of a bus ride to the Bronx. 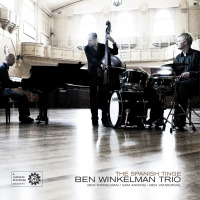 It also highlights the heady interplay between Winkelman and his ace trio matesbassist Matt Penman and drummer Obed Calvaire. Together, these three tackle thorny thoughts, essay beauty with singular style, and swing hard right down the line at various points in the program. Bouncing between different moods and themes in short order, this trio never misses a beat. With "Wheels" everybody catches the spirit and leans on gospel glories. Through "Santiago" Winkelman winks at the capital of Galicia, Spain, with a beautiful glint in his eye. On "Merri Creek" he looks back to his native Australia for inspiration. And with "Window Shopping" and "The Trip," Cuba comes into clear view from various angles and vantage points. 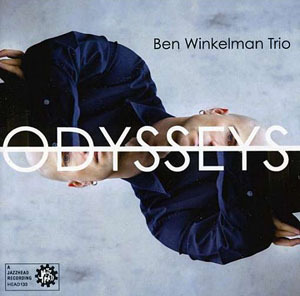 While original music is the focus for Winkelman, his inclusion of Thelonious Monk's "Bye-Ya" acts as a bow to influence as well as a point of confluence. The personality of composer and interpreter each ring true in the performance's unfolding. Then it's back on the bus for "Bx12 Part Two," where the trio bids us farewell while investing its energy into Latin sway. It's but one of many looks at Winkelman's balanced mind and movements. Track Listing: BX12 Part One; April; Wheels; Santiago; Merri Creek; Window Shopping; The Trip; Fala Baixiño; Bye-Ya; BX12 Part Two. 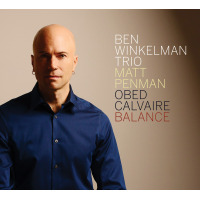 Personnel: Ben Winkelman: piano; Matt Penman: bass; Obed Calvaire: drums.